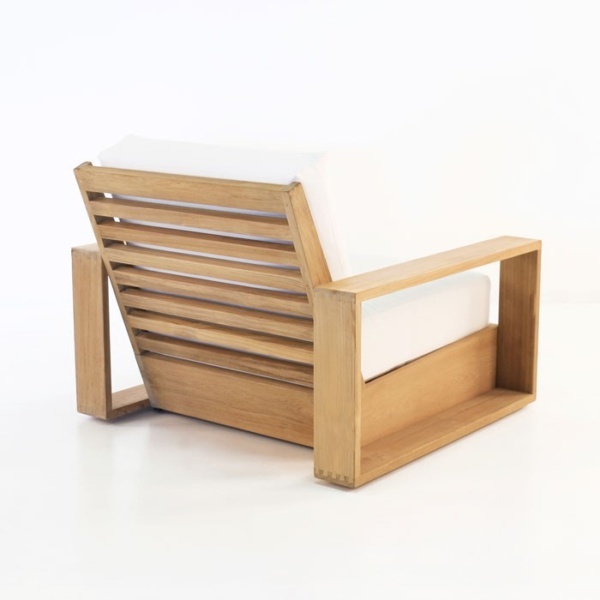 The Kuba Teak Outdoor Club Chair is a stunner! 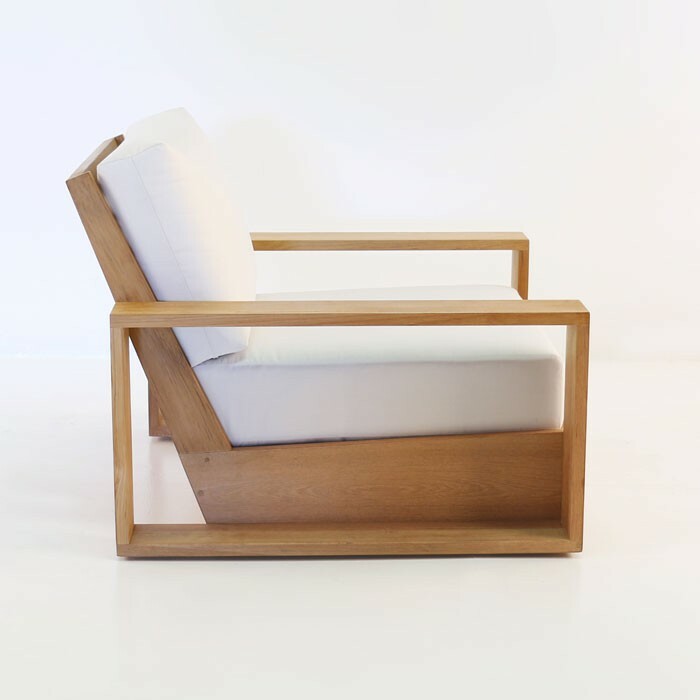 This gorgeous outdoor lounge chair is a perfect implement of relaxation with a style that bridges the mid-century to the contemporary styles. 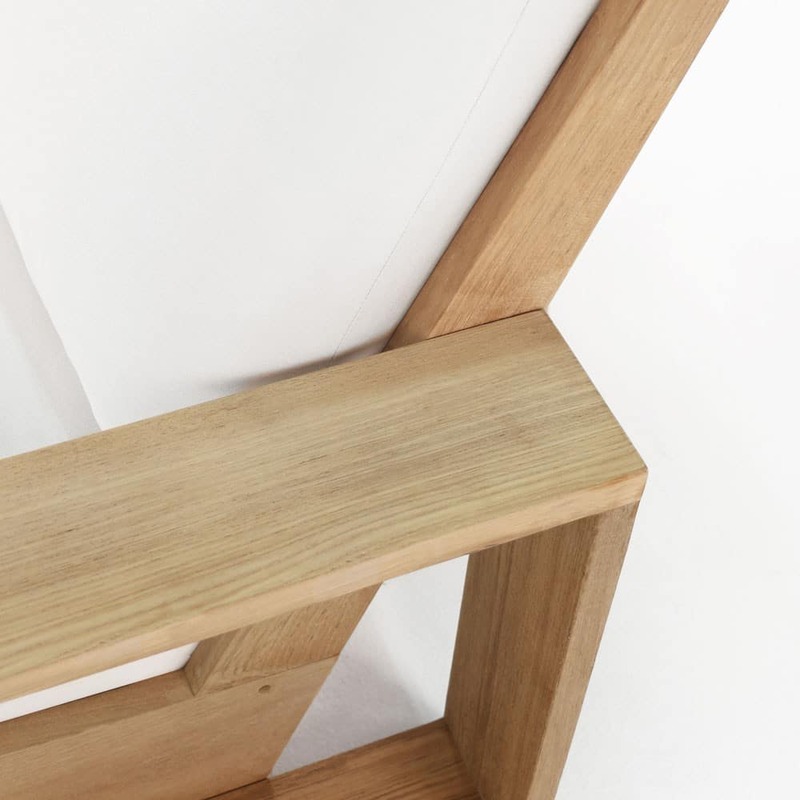 The organic and angular meet in this comfortable and stylish chair. Made from A-Grade teak with very generous construction, this chair contains a large amount of premium teak wood. 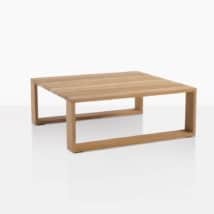 W38" x D38" x H28"
The flat arms and angled back combine to give you a beautiful and interesting style to relax all day long. 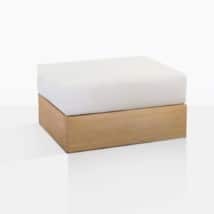 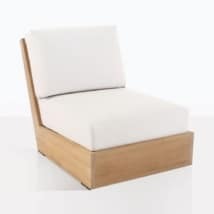 The soft comfortable cushions covered in Sunbrella® fabric are just one of many details that make this chair the preeminent chair for all day comfort and timeless styling. 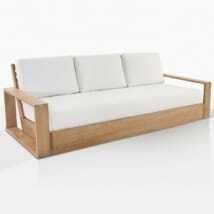 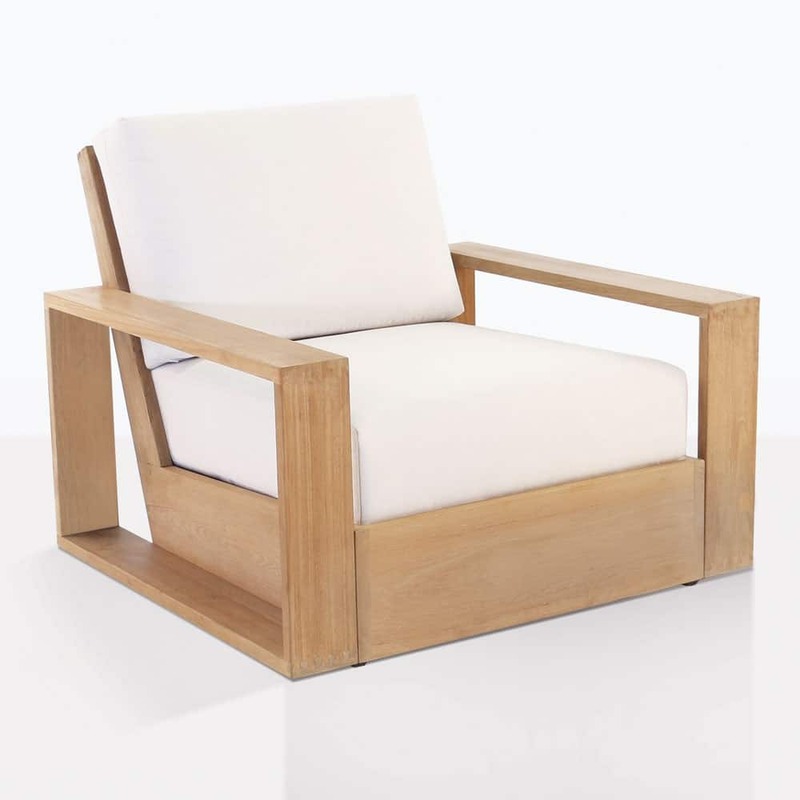 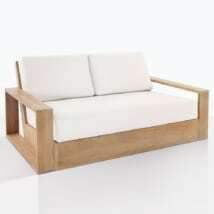 The Kuba Teak Outdoor Lounge Chair is bold and angular; svelte and modern; relaxed, but sure of itself.